Lesotho, known as the Kingdom in the Sky, is a place draped in soaring mountains, green valleys and the captivating culture of the Basotho. Lesotho is home to over 2 million people and is one of the three remaining kingdoms in Africa. Attractions include Maletsunyane Falls near Semonkong, Ha Kome Caves in Berea and Tse'hlanyane National Park in Butha-Buthe. Get ready to discover this captivating kingdom with cheap flights to Lesotho. Maseru is home to Moshoeshoe I International Airport (MSU), which is a 25-minute drive from the centre of the city. Surrounded by the Drakensberg and Maloti Mountains, Lesotho is celebrated for its glorious spires. Journey along mountain passes or explore the peaks of Thabana Ntlenyana, Mafadi, Thaba Putsoa and Njesuthi. 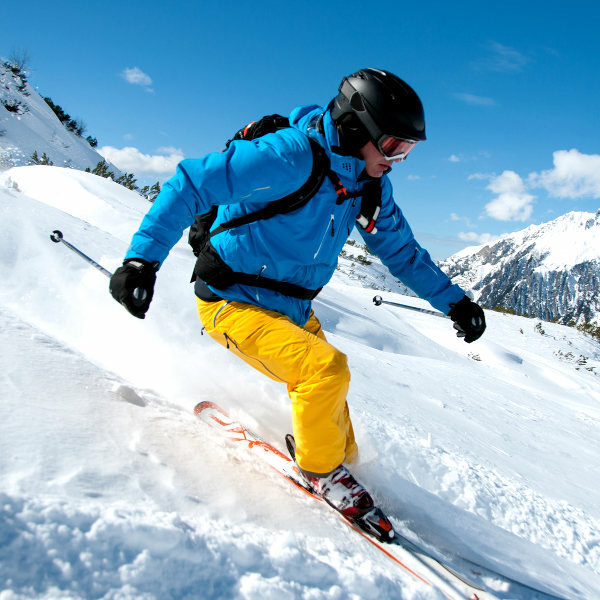 As the only resort of its kind in Lesotho, Afriski is a must-visit for anyone wanting to experience a unique African skiing holiday. Summer adventures such as abseiling, biking and trout fishing are also available. 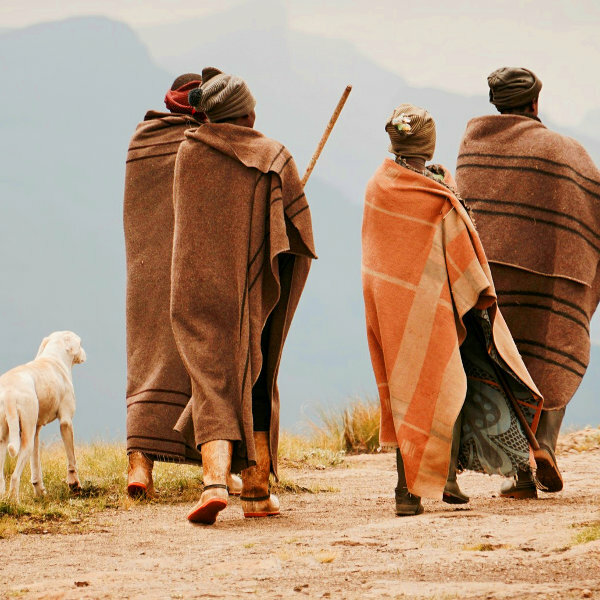 Lesotho emerged as a Basotho nation in 1818 and has since become a sanctuary for this enchanting culture. Visit a traditional village to learn about its history and fascinating traditions. Lesotho experiences cold, dry winters and hot, rainy summers. Temperatures can range from 30 degrees Celsius in summer (October to April) to -18 degrees Celsius in winter (May to September). The country experiences moderate snowfall during the winter months. The best time to visit Lesotho is in April, May, October and November. These months offer clear skies, warm temperatures and landscapes coated in lush greenery and peach blossoms. Weather in the highlands can be extremely unpredictable, so it is advisable to check the forecast before travelling to Lesotho. Notable events include: Roof of Africa, Africa Beer Festival and Lesotho Ultra Trail. For cheap flights to Lesotho, the best time to visit is between November and January. 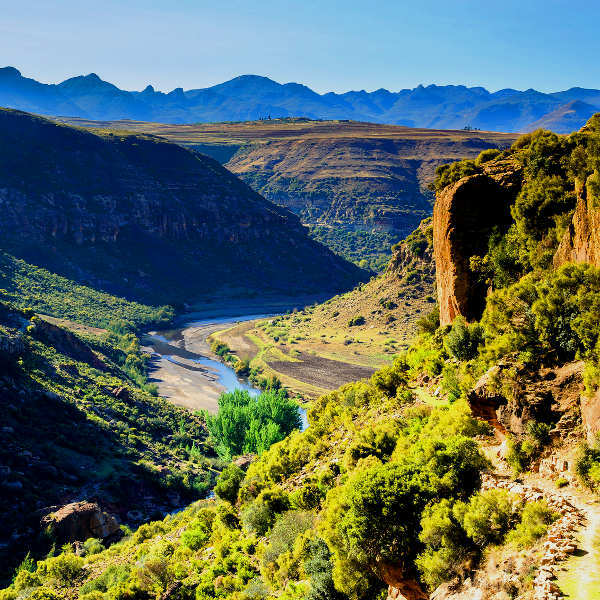 The Kingdom of Lesotho is a place where the skies are ruled by majestic peaks and the green valleys and rugged mountain sides are ruled by the Basotho. And although it is encircled by South Africa, it is very much its own country - a fact which invokes fierce pride in the hearts of those who call Lesotho home. Sensational hiking trails await in Sehlabathebe National Park, Ts’ehlanyane National Park and Bokong Nature Reserve. Adventure seekers can get their blood pumping by abseiling down Maletsunyane Falls, the highest recorded abseil in the world, or mountain biking through the rugged ranges. For something truly memorable, embark on an overnight pony trek through the Lesotho highlands. Visitors will be gifted with spectacular vistas and soul-stirring journeys through traditional Basotho villages. Lesotho invites you to embrace your sense of adventure and prepare yourself for magnificent sights, friendly people and unforgettable experiences in one of the last remaining kingdoms in Africa. Compare several airlines and book your cheap flights to Lesotho online at Travelstart! Although Lesotho is considered a relatively safe country, crime does happen. You should remain vigilant at all times, use common sense and take certain precautions to ensure a trouble-free holiday to this mountain kingdom. Travel insurance to cover theft and medical expenses is recommended. Avoid flashy displays of wealth and carrying large sums of cash and valuables, as pick-pocketing does happen. Avoid travelling alone at night (especially into rural areas) and through isolated areas. Keep car doors locked and exercise caution at border crossings. Avoid public demonstrations and political rallies. Be aware that homosexuality is illegal in Lesotho. Proof of yellow fever vaccination is required if you are travelling from an infected area. Immunisation against hepatitis A & B, typhoid, TB and rabies is recommended. Routine vaccinations, including MMR, diphtheria-tetanus-pertussis, meningitis, varicella and polio should be up-to-date. Stick to bottled water.